Mr. Brauss has more than 34 years of business leadership experience where his principle focus has been on driving growth. As the former CEO of Mark Andy, Mr. Brauss led a $125 Million organization and was able to achieve 60% market share in North America and 28% market share worldwide. Additionally, Mr. Brauss implemented strategic initiatives that transformed the product offerings which better aligned with customer behavior, enabling company growth. By reducing lead times by 50% and increasing productivity by 35%, Mr. Brauss was able to achieve world class status of Mark Andy in the packaging and printing market segments. His commitment to process innovation and product development with a strategic, “customer-centric” response to the packaging industry led to several Technical Innovation Awards in RFID in 2006 and Product Design Awards in 2011. He has been very active in the establishment of cooperative purchase programs with various companies in order to drive a balance of low-cost country sourcing and enhanced work cells of excellence. Mr. Brauss has served on industry leadership panels and is a past board member of the Tag and Label Manufacture Institute as well as AAIM Management. 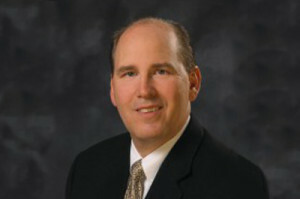 After leaving Mark Andy in January 2012 after 13 years, Mr. Brauss established Brauss Consulting. The company is focused on helping senior leaders develop hands-on approaches to strategic initiatives and business plans in order to transform organizations and enhance their culture. Through the development and hands-on application of a practical road map, Mr. Brauss achieves strategic goals and implements operational principles. Mr. Brauss transforms cultures to sustain profitability focused on reduction of Total Cycle Time, Lean initiatives and improvements in process/product quality from the sales process through engineering and order fulfillment. Mr. Brauss holds a BS in Industrial Management and an MBA from Washington University in St. Louis. He has published articles on TCT, Quality Systems and Product Development through the Association for Manufacturing Excellence and with The Manufacturer Magazine.